At the law offices of Altman & Altman, LLP our seasoned Massachusetts Bicycle Accident Attorneys have handled bicycle accident cases for nearly fifty years. We understand that no two cases are the same, and we have decades of experience dealing with insurance companies and recovering damages for medical bills, lost wages, pain and suffering, and any other costs associated with a client’s accident. We also recognize the emotional toll an accident can cause and we practice with the utmost sensitivity and professionalism, while aggressively advocating on our clients’ behalf. 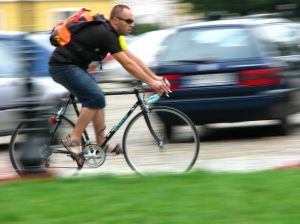 If you or a loved one was the victim of a bicycle accident, do not hesitate to contact one of our attorneys. We are available around the clock to answer any questions you may have about your case, and all initial consultations are free and confidential.